My dry, lacklustre, post- summer skin has been desperate to try a new foundation. 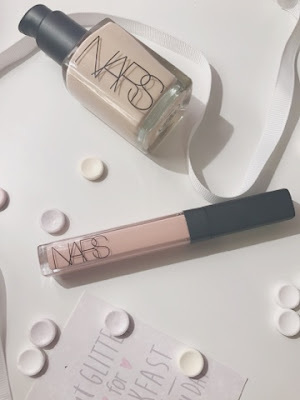 So whilst having a mooch in Selfridges a few weeks ago, I felt myself gravitate to Nars Sheer Glow Foundation. For years I have considered trying this foundation, particularly as so many people have given it a holy grail award within their makeup collection. It was the perfect opportunity for me to finally add it to my collection. 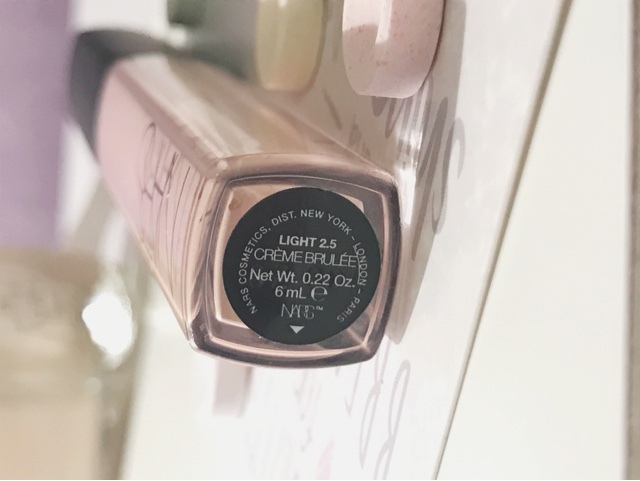 Despite the misleading name of this product, the foundation gives so much more than a "sheer glow". Unlike my usual Kat Von D foundation (which is an absolute hero product for achieving that entirely flawless skin finish) it gives a much softer, natural finish. So it's me, but ever so slightly filtered and fresh! 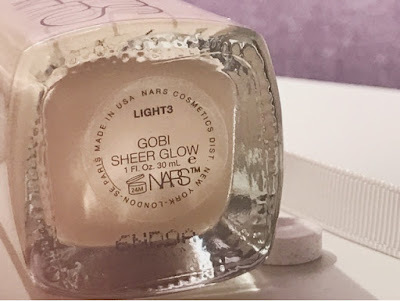 When applying there product, I have experimented with a stippling brush, a flat foundation brush and a beauty blender but I have found that my fingers give the best finish with sheer glow. It blends seamlessly into my skin and I hardly have to put in any effort to blend it out. Far from looking caked or overdone, I'm left with any redness covered and a healthy radiance. Much like the foundation, no special tools are needed to assist the application of this makeup bag saviour. I simply swipe under my eyes and apply in a triangle shape, from the inner corner to the outer corner. You're left with bright, awakened under eyes. I think I have found my new favourite base combination!